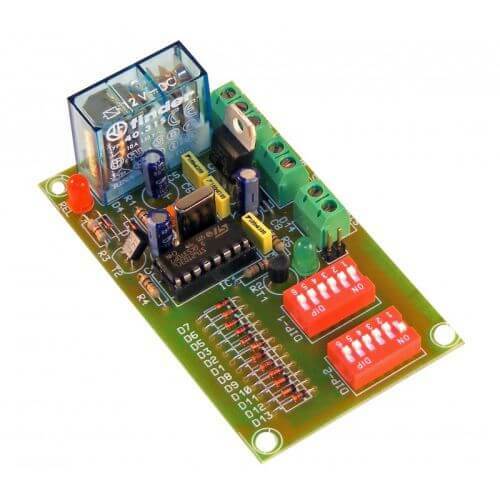 24 hour precision delay timer module with a mains rated relay output. The delay time is set in 15 minute blocks using two banks of on-board DIP switches. Push-button or power-on activation. When activated the relay will operate until the time period has elapsed. 12Vdc powered.